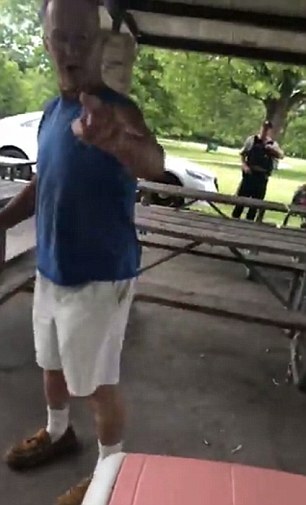 A drunken man who berated a woman for wearing a Puerto Rico flag shirt, demanding to know if she was a US citizen, has been charged with a hate crime. 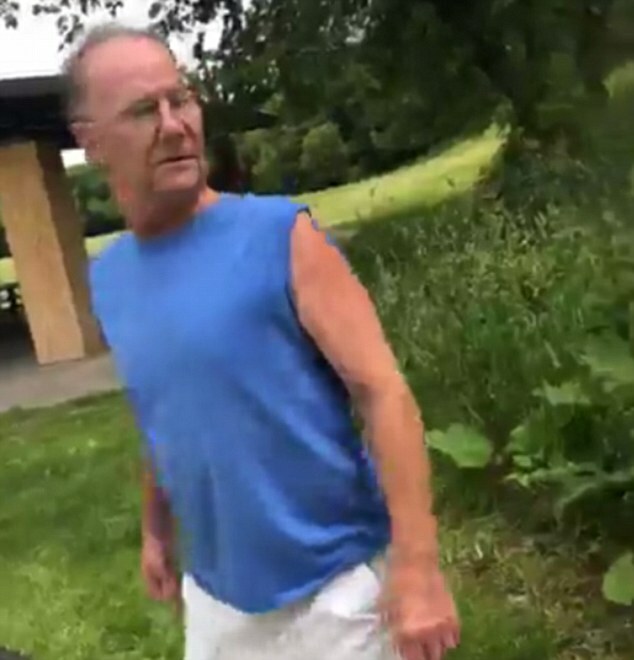 Timothy Trybus, of Des Plaines, was initially charged with assault and disorderly conduct over the June 14 incident. 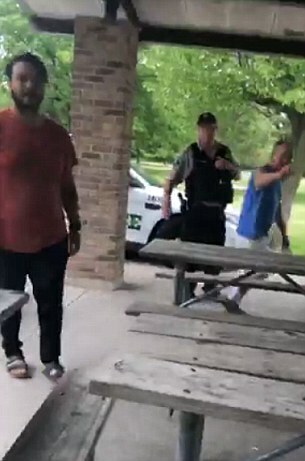 The 62-year-old has now been handed two additional charges, of committing a hate crime, after video his racist harassment went viral. 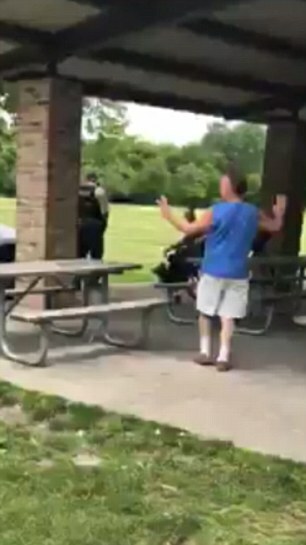 Irizzary was seen asking nearby Cook County Forest Preserve Officer, Patrick Connor, for help, but he ignored her pleas and allowed Trybus to continue verbally abusing her. Connor, a 12-year veteran with the county, was placed on desk duty and stepped down on Wednesday. In the wake of the incident, Cook County Board President Toni Preckwinkle offered her apology to the woman and took the unusual step of calling Ricardo Rossello, the governor of Puerto Rico. Rossello wanted the officer fired. 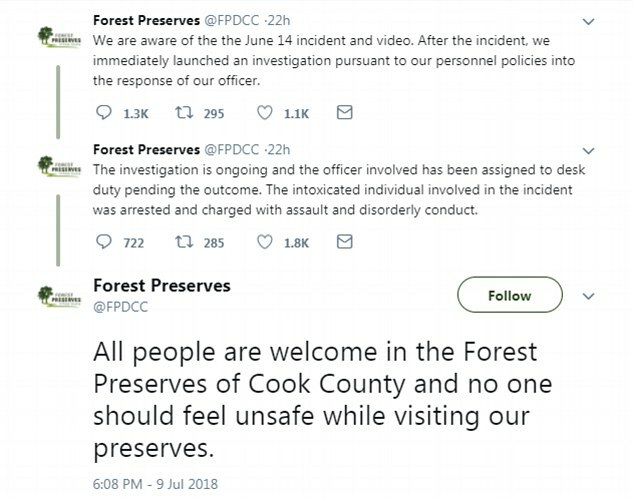 Meanwhile, the Forest Preserves issued its own apology for what happened. It wasn’t immediately clear if Trybus has an attorney. He is scheduled to appear in court on Friday. 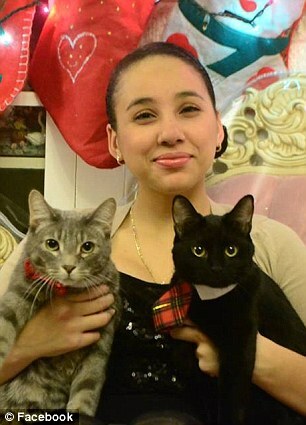 On the day of the incident, Irizzary had paid for a permit to hold a birthday party at Caldwell Woods in Illinois, when Trybus – first approached her. 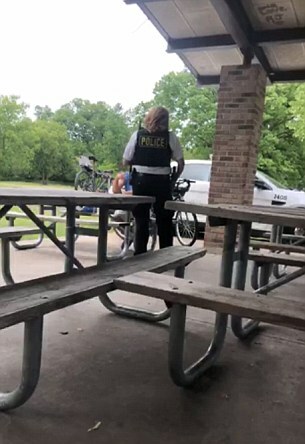 Irizzary was seen asking nearby Cook County Forest Preserve Officer, Patrick Connor (right) for help, but he ignored her pleas and allowed Trybus to continue verbally abusing her. 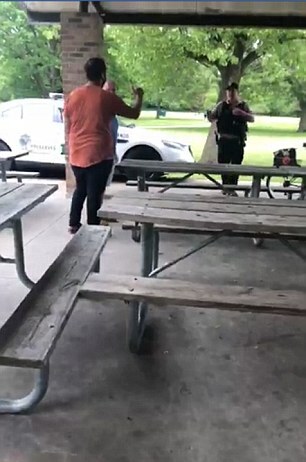 ‘Officer, I’m renting this area and he’s harassing me about the shirt I’m wearing,’ Irizzary then tells the cop, who had already been called to the scene to investigate Trybus’ intoxicated behavior. 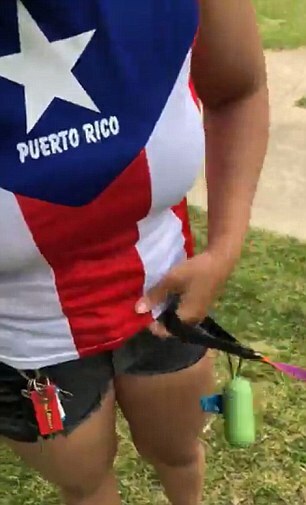 Irizzary was wearing a shirt made to look like the Puerto Rico flag, with the words ‘Puerto Rico’ written on the top. ‘I’m an American citizen…I’m not trying to change anyone, I just came here for a birthday party,’ Irizzary tells him as he gets in her face. ‘Officer, I feel highly uncomfortable, can you please grab him, please?’ she asked Connor again. 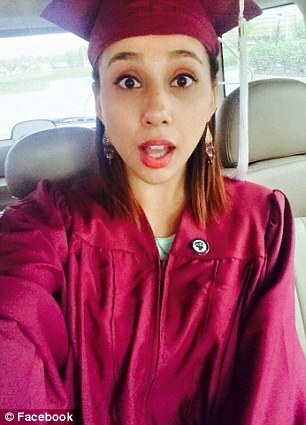 ‘If she’s an American citizen, why is she wearing that s**t?’ Trybus shouts. But the officer continued to ignore her, and did not even move closer to Irizzary as Trybus berated her. At one point Irizzary’s brother returns from grabbing food for the party and tries to get Trybus to leave her alone. That’s when Connor finally spoke up, telling the brother to ‘relax’. More officers then arrived at the scene and a female cop sat Trybus down and threatened to charge him. ‘People have just as much right to be here as you do,’ she can be heard telling him in the clip. The female officer then interviewed Irizzary, who told her that the first officer on the scene stood ‘watching the whole thing happen’. Irizarry filmed the video about a month ago, but it has gained recent traction and since been watched more than a million times. 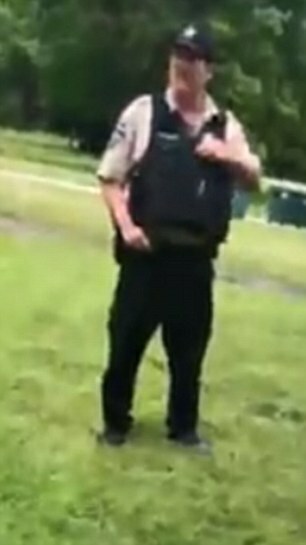 The video even got the attention of Puerto Rico Governor Ricardo Rosello, who said he was ‘appalled, shocked, and disturbed by the officer’s behavior’. ‘We will be looking into this incident as our offices in DC are in contact with local and state authorities, demanding that this officer be expelled from the police force,’ Rosello tweeted on Tuesday. Rosello also called on Cook County Board President Toni Preckwinkle to take the matter ‘into her hands’. 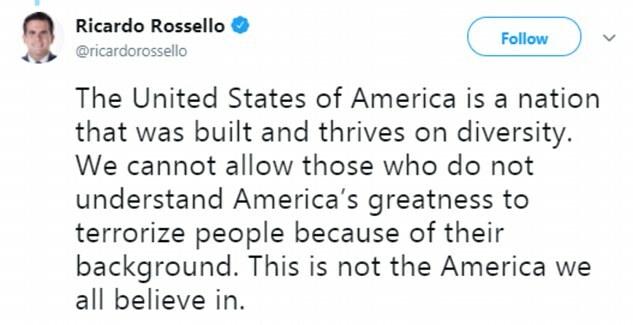 ‘The United States of America is a nation that was built and thrives on diversity,’ Rosello continued in a separate tweet. Preckwinkle called the video ‘completely unacceptable’ and said she was ‘troubled’ by the officer’s response to the ‘terrible’ incident. She plans to use the video in future training exercises by the Forest Preserves.